I was so lazy to write anything for months and years already. But, this early morning i read something which has a part that made me laugh a bit and until now i still laugh thinking of it. And to think of it, now i want to blog about it. It is something which is very very important in my life. I have developed my love for it without knowing it. Since i was a kid, it has become an important part of my life. It is CKT.. which is Char Kway Teow. It's this writing by Yansen Ali and i know this "CKT" term from his writing. 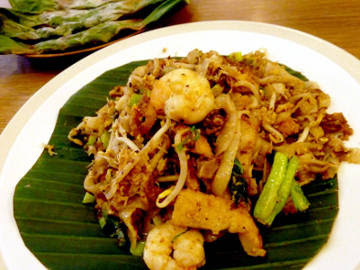 A note of worth, fried kway teow aka char kway teow (CKT) aka fried wide rice noodles, is a traditional Medan dish. Its origin is debatable, but Medan chef masters have, over the past century, experimented with and perfected the art of cooking this special dish. There are a few notable CKT vendors, each with their own unique tastes, and my goal is to write a review for each of these vendors. Classic Medan style CKT is stir fried over burning hot charcoal; ingredients include beansprouts, duck eggs, shrimps, barbecue pork, sausage, green onions, some vegetables, soya sauce, lots of garlic and oil (preferably corn oil). Savoring a bowl of CKT is both a cultural and spiritual experience, like tapping your feet to the rhythm of a catchy disco song. Some people cannot start their days without a bowl of CKT. Some people cannot sleep before having a bowl of CKT for supper. It's also been widely speculated that successful people in Medan have one thing in common: they are all CKT lovers! When i was a kid, my family always had noodles for our breakfast. From bihun, mie lindung, mie keriting, mie pangsit, indomie also included, to CKT. Let's talk about CKT only. For breakfast, my family like to eat CKT polos (plain CKT). At that time i disliked CKT polos because i thought it's tasteless and nothing to enjoy. But, i like to eat the "complete CKT" which our family usually eat at the night time only for supper (Many families also same like us, eat plain CKT for breakfast and complete CKT for supper). 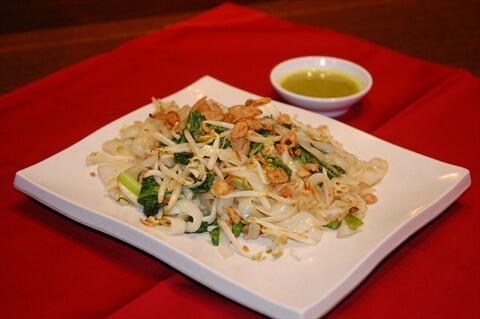 "kway teow cha liau cha nui" is what some people called it. 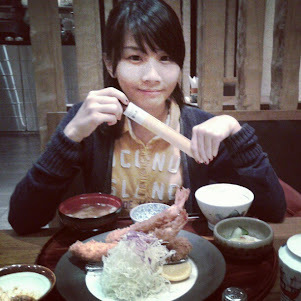 It is full of so many delicious stuff such as seafood, beef and sausage (lapchiong). And the colour is.. just beautiful (?) lol. If CKT is a steak, maybe this complete CKT's colour is like medium well or well done while the plain CKT's is like medium rare. Medan was (or is?) not a very safe city so my family rarely go out at night time. Our parents and grandparents sometimes went out at night to attend wedding party or funeral. We as kids can only wait for them at home and played with our own shadow if we were not that lucky - when light was out / black out. But the best time was when our parents and grandparents come home at around 10 PM! They brought home CKT for us the little kids they love. But i didn't know that CKT has a deep impression in my heart. Because i ate it quite often, i took it for granted. I gave my love to sate padang instead coz family forbid me to eat sate padang too often which made my forbidden love for sate padang especially sate kerang grew even more faster that CKT. After i moved to Jakarta for study and now for work, i cannot eat CKT often. Because moving from a point to other point in Jakarta does really take time. Therefore my grandparents changed their behaviour from eating noodles in the morning to eating bread almost every morning (bought the bread at the night before). Weekend - Saturday & Sunday - are days which i am always longing for because my grandfather likes to visit the market on weekend and will brought home CKT for breakfast! Hooray! When i was an undergraduate student and went out with Medan friends until late night, we always stopped by somewhere to eat CKT first before going home. That was when i have even more love to other types of KT, not only CKT. 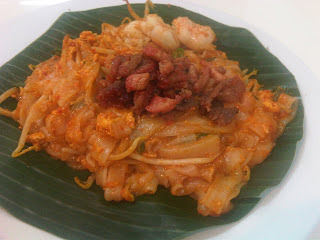 I love Kway Teow Siram with crab, Kway Teow Kuah / Kway Teow Theng with beef, and more. But still at that time i haven't been in love with plain CKT. It was when my family eat at a vendor which people said that its plain CKT is the best. It was at night time and i ate that plain CKT. WOW.. i never knew that plain CKT has the best smell among CKTs! It is my favourite type of CKT now! 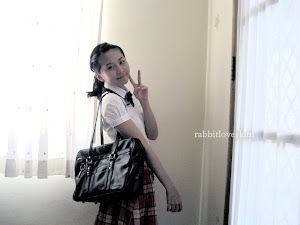 Recently, i am in love with Bagan style CKT. My auntie's husband which is a Baganese introduced it to me a few weeks ago. The colour is more orange-ish or red-ish from usual Medan style complete CKT. It is so delicious and smells so good.. A little bit spicy and the egg is tasty (auntie's husband told me it is duck egg). After almost 25 years, i realized that i am one of so many CKT lovers out there. How can i realized it ? It's when i chose CKT as my password when i registered at a website. LOL! But i don't use it anymore because it caused me trouble. We don't have standard romanisation for our Hokkien, so i always forgot whether i wrote kwetiao or kwetiau. CKT is indeed very important in my life. I really hope tomorrow morning my breakfast is CKT.